Creating a delicious, quick appetizer tray isn’t difficult. I’ve put together 5 tips to help you create quick appetizer trays that will please you and your guests. 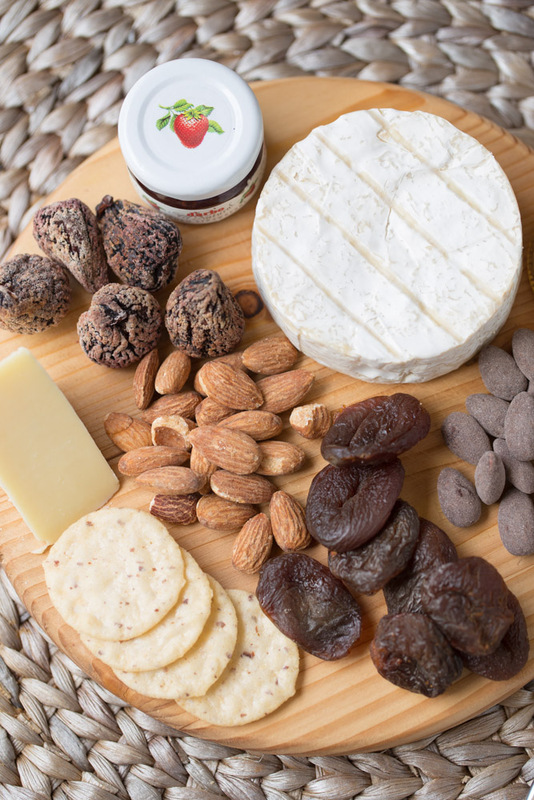 I’ve also included a simple cheese and Blue Diamond Almonds tray that I created utilizing items that I already had in my refrigerator and my pantry. Scenario 1: It’s Friday evening. You’ve just hung up the phone after having a quick conversation with your husband/wife/significant other. They informed you that friends A, B, C and D are coming over for dinner and drinks, will be arriving in a half hour and that some sort of appetizer would be a great way to begin the evening of socializing. You need to put together a quick appetizer to serve to your guests. Scenario 2: It’s Saturday afternoon. You and your husband/wife/significant other are plopped on the couch watching a marathon of Property Brothers and the NHL hockey playoffs. You’re both hungry. You’re both feeling a little too lazy to make something that requires turning on the stove or the oven. You need to put together a quick appetizer to satisfy your hunger. Cheese, meats, nuts, crackers, jams, jellies, dried fruits, vegetables. Chances are you have more than one of these ingredients sitting on a shelf in your pantry or refrigerator. Using ingredients that you already have on hand saves a trip to the store and keeps your wallet full. Crackers topped with cheese and meat are a popular option. 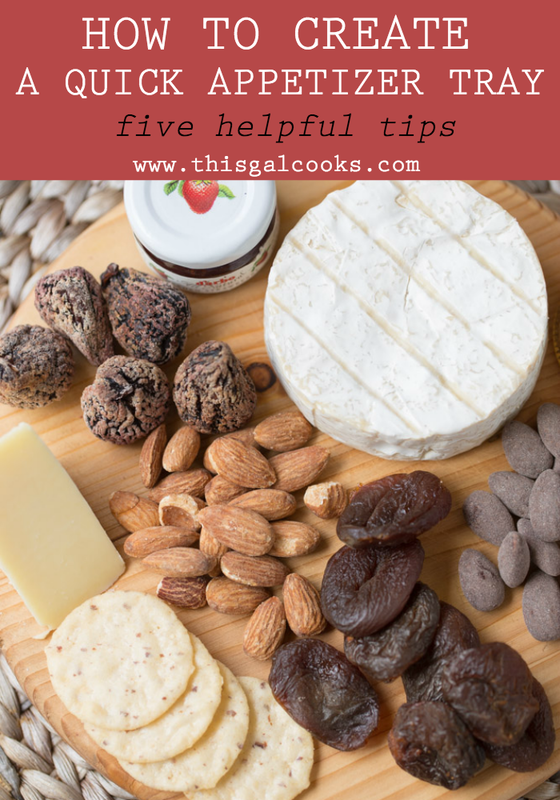 Dried fruit, almonds and cheese drizzled with honey are a great sweet and savory option. Placing these items on an appetizer tray will allow your guests to make their own combinations and take the guess work of deciding what your guests will or won’t like. Bite sized, sliceable, and spreadable items are easy to serve because they require little prep work. Bite sized crackers, nuts and veggies such as baby carrots and cherry tomatoes only require you to remove them from their carton or bag. Sliceable items such as cheese can be cut into wedges and placed on a serving tray. Guests can slice desirable size and type of cheese for themselves. Spreadable and pourable ingredients such as jams, jellies and honey can be left in their containers (if small sized) or placed in small glass bowls for serving. If serving cucumbers, I recommend slicing those before serving as they tend to be messy due to seeds and excess moisture. There are an abundance of resources online that will assist you in determining which flavors pair well together. I recommend conducting research in your spare time to familiarize yourself with flavor profiles that compliment each other. This will ensure that you combine an assortment of flavors that are sure to please your’s and your guest’s palates. I’ve listed a few resources below. Few things are more frustrating than forgetting or misplacing a recipe. If your appetizer tray is well received by your guests, chances are you’ll want to serve it again in the future. Making a list of the nuts, cheeses, crackers, fruits, meats, jams, jellies and sauces served with your tray will ensure that you remember how to create a replica of your tray to serve at your next social event. I suggest creating a Google Doc with a list of the items used in your appetizer tray because Google Docs are easily accessed from anywhere. Title the document with a familiar name so you are able to easily find it when its needed. If you don’t own fancy serving dishes and utensils, no need to fret. A cutting board, a shallow casserole or baking dish, a breakfast tray or a large plate are great pieces to use when serving quick appetizers. For a touch of style, include a sprig of fresh herbs, a colorful cloth napkin or fresh fruits as decorative components. A decorative layout of the ingredients you’re serving also lends a sense of style to the presentation of your appetizer tray. 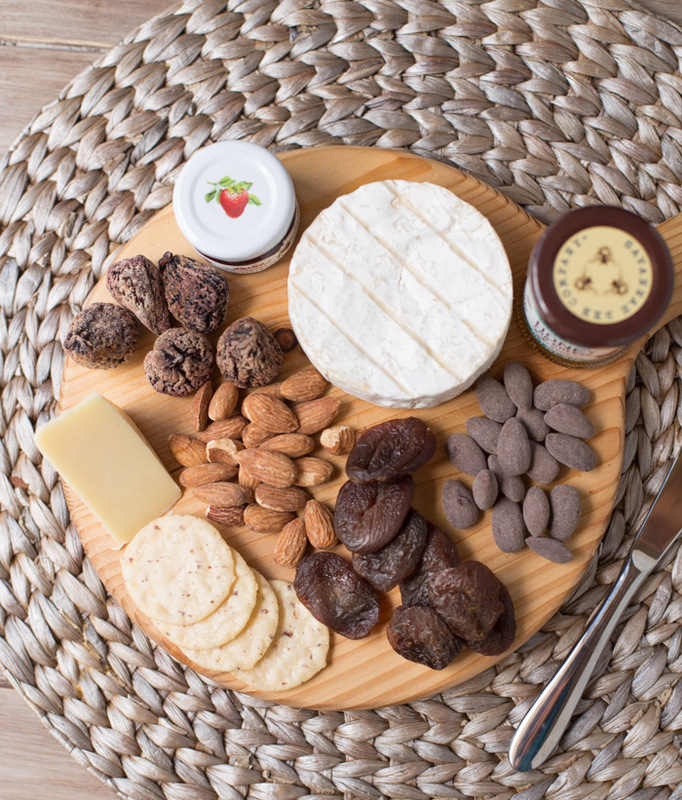 The cheese tray below was created by simply placing ingredients on a small round wood cutting board. I suggest including a small stack of dessert or salad plates with your appetizer tray so your guests may place their appetizers of choice on their own plate. 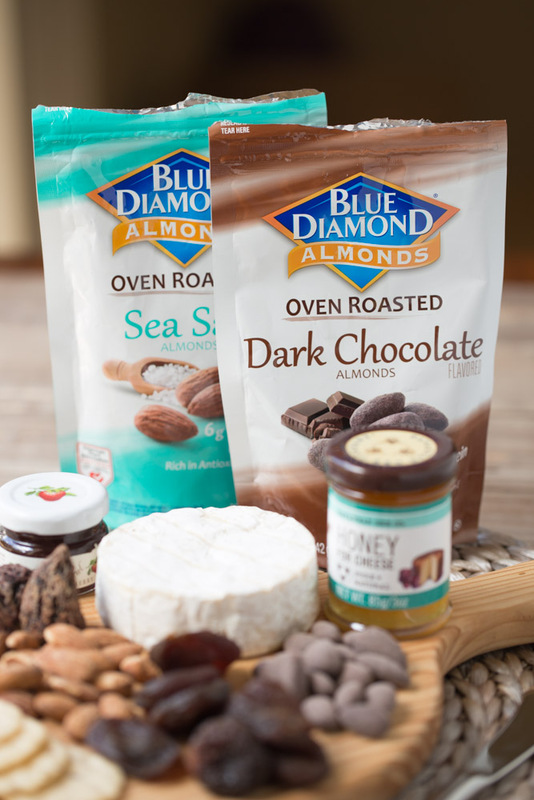 Blue Diamond Roasted Almonds are roasted without added oils and come in a variety of flavors including Dark Chocolate and Sea Salt. I enjoy snacking on them and including them in quick appetizer trays. This post was sponsored and compensated for by Blue Diamond Almonds. All opinions, photos and content are my own. This is beautiful and looks easier to make than I thought it would be. Great ideas!! Thank you for sharing! Great tips! I love how pretty it all looks on that board, and your selections sound so delicious! Awesome tips Julie! Can’t wait to try these out at my next party! Hope you enjoy it, Kelley! Good info. nice tricks. best way thank you. keep it up.